Bounded by the traumas of the Wall Street Crash and the attack on Pearl Harbor, the period that historians refer to as the long decade of the thirties is a narrative anchored in the economic and political emergency of those years. With the exception only of the Civil War, Americans faced in the Depression the most wrenching and divisive domestic crisis in their history. An economic structure that had seemed unshakable simply collapsed, and neither experts nor ordinary citizens were ever sure why. The tremors of what Edmund Wilson called "the great earthquake" shook every American city and village. Individual stock prices fell by as much as ninety per cent; the market as a whole lost two-thirds of its value. Between October 1929 and March 1933, more than five thousand banks failed, and six hundred thousand homeowners saw their mortgages foreclosed. The worst drought in a century turned much of the Middle West to dust: 35 million acres of cropland had been completely destroyed, and another 100 million acres – an area the size of Pennsylvania -- lost their topsoil. By 1932, the third year of the Depression, more than ten million persons were unemployed – almost twenty percent of the work force. In big-industry towns, such as Chicago and Detroit, the numbers out of work reached nearly fifty percent – 624,000 in Chicago alone. Many of those who kept their jobs were reduced to working part-time, or on split shifts. “Investors had ceased to invest and workers had ceased to work.”3 Nothing like this level of unemployment had ever been seen in the U.S. before, not even in the long slump following the Panic of 1893, which had lingered through the last years of the nineteenth century. Despite the hard times, “[b]y 1937, fifty-two million people in fifteen million cars were spending an estimated five billion dollars on motor travel.” To be sure, migrants like Steinbeck's Joads, seeking escape from misery, drove some of those cars, but recreational tourism increased notably during the decade.6 Catering to those tourists, thousands of new motels sprouted next to roads and highways across America in the thirties.7 Commercial air traffic increased twelve-fold in the 1930s, reaching one billion passenger miles by the end of the decade.8 Book sales slumped, but millions of Americans spent tens of millions of dollars on movie tickets. Thus, while many of the victims of the Depression directed their anger toward the government or "conditions," sometimes to the point of violence, others blamed themselves. As many contemporary observers pointed out, a commitment to self-reliance survived among countless men and women who continued to believe in the efficacy of initiative and hard work and considered poverty a proof of moral turpitude. Since up to a quarter of the work force was idled, such a belief could engender enormous emotional pain. Those diverse understandings led to diverse imaginative expressions, in effect a debate over the meaning of America. The task of the pages that follow is to provide a through line for exploring that rich heterogeneity, by tracing one of the main subjects to which the decade’s writers turned again and again: the past. The writing of the 1930s comprises an extensive and complex engagement with the past, in myriad forms: the memoirs and biographies of influential individuals, and the factual and imaginary histories of the United States and other nations. By mapping the contours of the thirties' engagement with the past, I propose to document the decade’s extraordinary intellectual range. The search for what was frequently called “a usable past” reached into government programs, scholarship, and popular culture.19 The 1930s, after all, were the years in which the National Archives opened, most of the volumes of the Dictionary of American Biography were published, the Historical Records Survey and the Historic American Buildings Survey were initiated, and the Index of American Design was established, tasked with recording the artifacts of the nation’s past.20 The twelve-volume History of American Life, edited by Arthur M. Schlesinger, appeared in installments from 1928 through 1944. These statements are helpful, though both claim too much and distinguish too little. While the retrospection of American writers in the 1930s was sometimes nostalgic, they frequently revived the past to criticize American values and institutions. 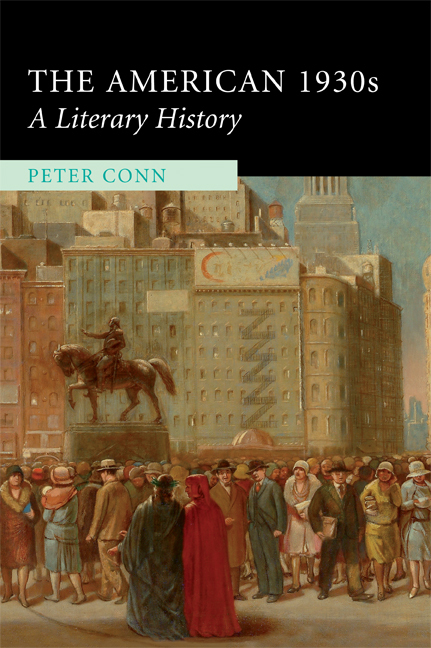 In historical novels, poems and films, biographies and autobiographies, historical monographs and folklore studies, in painting, music, and photography, men and women of the thirties discovered a kaleidoscope of pasts shaped by a wide variety of political and cultural commitments. Some of these writers considered themselves radical, others conservative; still others were uninterested in politics at all. The conflicting pasts offered vehicles to defend competing views of the present and future. A number of the texts discussed in this book, apart from their contribution to American diversity, are worth recovering and reading on their own terms. Questions of literary value and valuation have become a rich and vexed subject in the past several decades. Are literary reputations constructed by the collaboration of critics, publishers, academics, and editors, or do they rise above fashion and conspiracy by asserting their own eminence? I am less interested in that argument than in the opportunity to describe a more populous artistic 1930s, more inclusive and hence more interesting. Consequently, The American 1930s includes prize-winning books and bestsellers, novels as well as poetry, and quite a few of the volumes of non-fiction as well. The relevance of so much of the decade's writing to my argument can be taken as a simple but serviceable measure of the vital currency of the past in the 1930s.24 Beyond that, as William St. Clair has recently reminded us, literary history should take at least some account of "books that were actually read, and were admired in their generation. "25 Especially for works not likely to be familiar to most readers, I have tried to provide enough detail to make their diverse purposes and achievements clear. The pages that follow offer a set of what might be called case studies in the literary thirties. These comments usefully warn against the reduction of entire decades to two or three hackneyed adjectives. At the same time, the advantages of working within the confines of a relatively brief period such as the 1930s are substantial: among them precisely the opportunity to enrich our understanding by documenting the breadth and even the internal contradictions of the decade. Part of that cultural breadth consists in the patterns of continuity that link the 1930s to the history that had come before. As Oscar Cargill shrewdly observed, many years ago, “nothing precisely ceased or began on October 29, 1929.”28 By connecting the 1930s to earlier American pasts, this book provides a fuller description of the cultural life of the Depression decade. That in turn offers at least the beginnings of an alternative literary history of the 1930s. The focus is on fiction and non-fiction writing, but I also include some comment on the decade's history painting, as a way of further widening the scope of the analysis. The 1930s was among the busiest of all American decades for the production of historical pictures: highbrow and lowbrow, populist and elitist, serious and comic.Such works demonstrate that painters, like writers, found in the past a means of responding to the dislocations of the present moment. Let me conclude these preliminary comments with a final distinction. Some of the texts I shall be discussing, for example the novels of John Dos Passos and the plays of Clifford Odets, deployed history in direct response to the political and economic events of the 1930s. Other historically engaged work, for instance the novels of William Faulkner and the plays of Eugene O’Neill, would probably have been produced whether the Depression had occurred or not. The point is that all the novels, plays, and paintings here contributed to the thick texture of “pastness” that helped to define the decade, and they participated thereby in the debate over the meaning of America. Cited in Emily Braun and Thomas Branchick, Thomas Hart Benton: The America Today Murals (Williamstown, MA: Williams College Museum of Art, 1985), p. 11. For a survey of these debates, see the first two chapters of John Garraty, The Great Depression: an Inquiry into the Causes, Course, and Consequences of the The Worldwide Depression of the Nineteenth-Thirties, as Seen by Contemporaries and in the Light of History (New York: Harcourt Brace Jovanovich, 1986). Among the scores of books on the Depression, this volume is indispensable for its consistently international and comparative focus. For a useful and more recent comparative analysis, though limited to three countries, see Wolfgang Schivelbush, Three New Deals: Reflections on Roosevelt’s America, Mussolini’s Italy, and Hitler’s Germany, 1933-1939, Jefferson Chase, trans. (New York: Metropolitan Books, 2006). See David M. Kennedy, Freedom From Fear: The American People in Depression and War, 1929-1945 (New York: Oxford University Press, 1999), pp. 133, 163, 87. Cited in William Manchester, The Glory and the Dream (Boston: Little, Brown, 1974), p. 31. Lloyd Morris, Not So Long Ago (New York: Random House, 1949), p. 386. For an informative history of the subject, see Marquerite Shaffer, See America First: Tourism and National Identity, 1880-1940, (Smithsonian Institution Press, 2001). Bill Stott, "Introduction" to Archie Hobson, ed., Remembering America: A Sampler of the WPA American Guide Series (New York: Columbia University Press, 1985), p. 2. Hobson's anthology includes upwards of five hundred selections from the Guides. Sean D. Cashman, America in the Twenties and Thirties: the Olympian Age of Franklin Delano Roosevelt (New York: New York University Press, 1989), pp. 30-31. Georgia: A Guide to Its Towns and Countryside (Athens: University of Georgia Press, 1940), p. 53. Cited in Terry A. Cooney, Balancing Acts: American Thought and Culture in the 1930s (New York: Twayne Publishers, 1995), p. 5. Kennedy, Freedom from Fear, p. 174. Louis Adamic, My America, 1928-1938 (New York: Harper & Brothers, 1938), pp. 283ff. Richard Lowitt and Maurine Beasley, eds., One Third of a Nation: Lorena Hickok Reports on the Great Depression (Urbana, IL: University of Illinois Press, 1981), p. 223. Sherwood Anderson, Puzzled America (New York: Charles Scribner’s Sons, 1935), p. 46. See Warren I. Susman, Culture as History: The Transformation of American Society in the Twentieth Century (New York: Pantheon Books, 1984), p. 165. Steven Biel, American Gothic: A Life of America’s Most Famous Painting (New York: W. W. Norton & Company, 2005), p. 109. Numerous historians have concluded that “security” was the irreducible central theme of the New Deal, whatever the apparent incoherence and right and left turns of Franklin Roosevelt’s particular choices. Granville Hicks, Small Town (New York: Fordham University Press, 2004 ), pp. 117-118. Van Wyck Brooks first used the durable phrase "usable past," in America’s Coming of Age (1915). As that date accurately indicates, the 1930s were not the first years in which Americans turned toward the past as a subject for study and imaginative exploration. Hawthorne’s novels have been described with the same term. My point about the rediscovery of the past in the thirties is two-fold: (1) the turbulent circumstances of the Depression stimulated an especially vigorous engagement with history, which is worth recovering because (2) since the end of the 1930s, decades of scholarly and critical absorption in the political literature of the decade has tended to obscure this large and informative body of retrospective texts. Two major works of historical restoration – or re-creation – were also completed in the 1930s. The first phase in the rebuilding of Colonial Williamsburg, announced by its patron, John D. Rockefeller, Jr., in 1928, was accomplished in the 1930s. Another Rockefeller-funded project, the Cloisters, with its thousands of medieval artifacts housed in a reconstructed European monastery, opened in Manhattan in 1938. Eric Foner, Who Owns History? Rethinking the Past in a Changing World (New York: Hill and Wang, 2002), p. 150. David Lowenthal, The Past is a Foreign Country (New York: Cambridge University Press, 1985), p. 41. Andre Maurois, Etats-Unis 39: Journal d’un voyage en Amerique. The passage cited is printed in Oscar Handlin, ed, This Was America: True Accounts of People and Places, Manners and Customs, as Recorded by European Travels to the Western Shore in the Eighteenth, Nineteenth, and Twentieth Centuries (Cambridge, MA: Harvard University Press, 1949), p. 566. No translator is credited. Maurois’s catalogue sounds a bit like Mark Twain’s demand, in his Essays on Paul Bourget, that “the native novelist” must attend to the villages of each region and state, along with the lives of Indians, miners, Irish, Germans, Italians, Swedes, Catholics, Methodists, Baptists and Jews, not excluding the moonshiners, the train robbers, the “Idiots and Congressmen.” The serious point that both writers were emphasizing is the irreducible diversity of the nation’s people, and the need for novelists – and their critics – to attend to as much of that diversity as possible. I have included a list of best-selling and prize-winning work in the appendix. See William St. Clair, “But What Did We Actually Read?,” TLS (May 12, 2006), pp. 13-15. Peter Novick, That Noble Dream: The “Objectivity Question” and the American Historical Profession (Cambridge, UK: CUP, 1988), p. 133. Robert Bendiner, Just Around the Corner: A Highly Selective History of the Thirties (New York: Harper & Row, Publishers, 1967), p. xi. Oscar Cargill, Ideas on the March (New York: The Macmillan Company, 1941), p. xi. Cargill's remark has particular relevance to the subject of this study. The widespread interest in the past that writers of the Depression decade displayed intensified and expanded the surge of interest in American history – one result of postwar nationalism – that had also marked the writing of the 1920s.